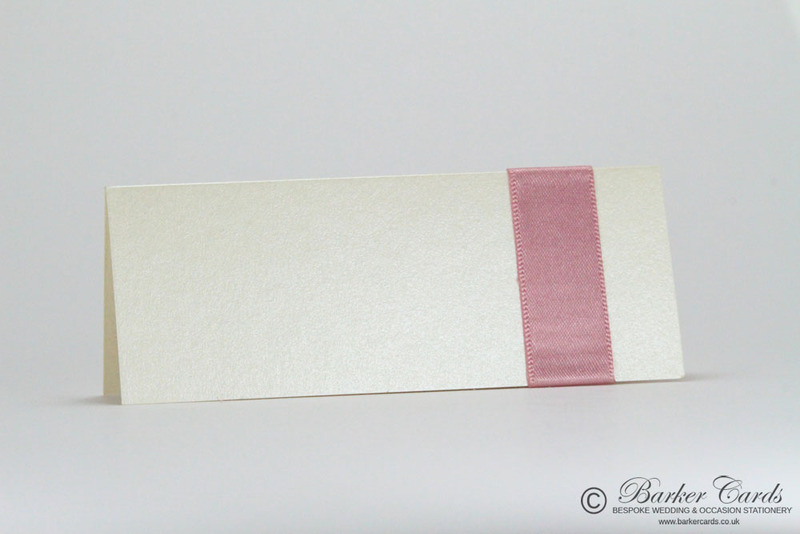 All place cards are crafted by hand using materials of the highest quality. This particular design is neutral, to ensure it complements all collections within our wedding stationery range. This design echoes the elegant features of the collections: Enchanting, Serenity and Beautiful Beau. 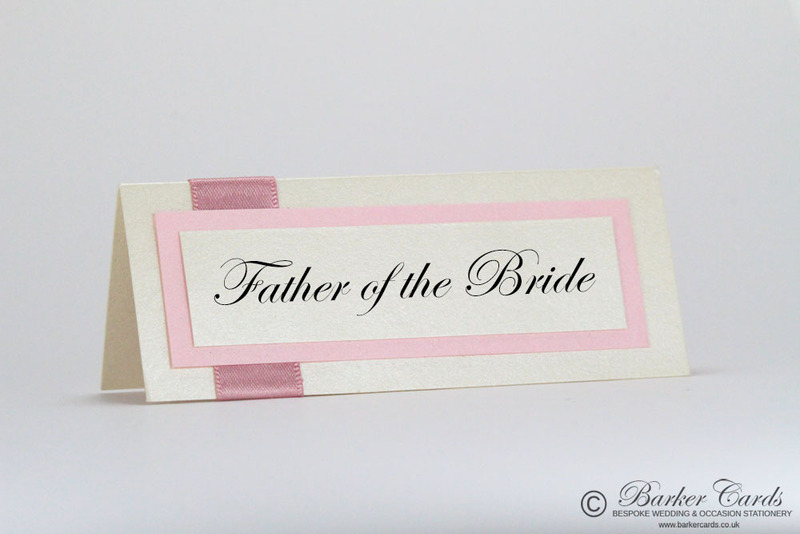 The example shown is made using Cream and Rose pearlescent card and Dusky Pink satin ribbon. and to order using product code PN010.